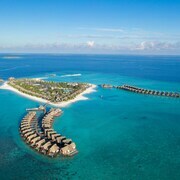 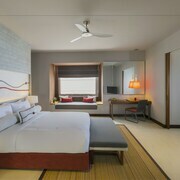 This beachfront luxury resort is located in Filaidhoo, where regional attractions include Hanifaru Bay. 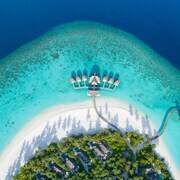 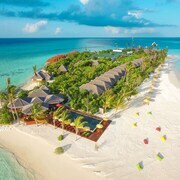 This beachfront luxury resort is located in Dhigufaruvinagan'du, where regional attractions include Meedhoo Harbor, Hanifaru Bay and Dharavandhoo Mosque. 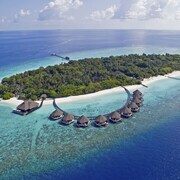 Nestled on the beach, this Dhigali resort is 0.3 mi (0.5 km) from Meedhoo Harbor.